The upcoming Asus ZenPad C 7.0 is set to hit PH's entry-level tablet market by storm in the coming weeks; and we've got an exclusive First Impressions pressed on our website. Mind checking it out? The Asus ZenPad C 7.0 has not been released in the Philippine market yet, but we are fortunate enough to have played with the upcoming slate from one of the most popular brands to date. The ZenPad is the concerted effort of the Taiwanese outfit to merge their existing tablet portfolios – FonePad and MemoPad. The ZenPad C 7.0 would probably have a better reception compared to the previously released slates of the company. Why? Join us as we walk you through our first impressions and quick review of the tablet after the fold. 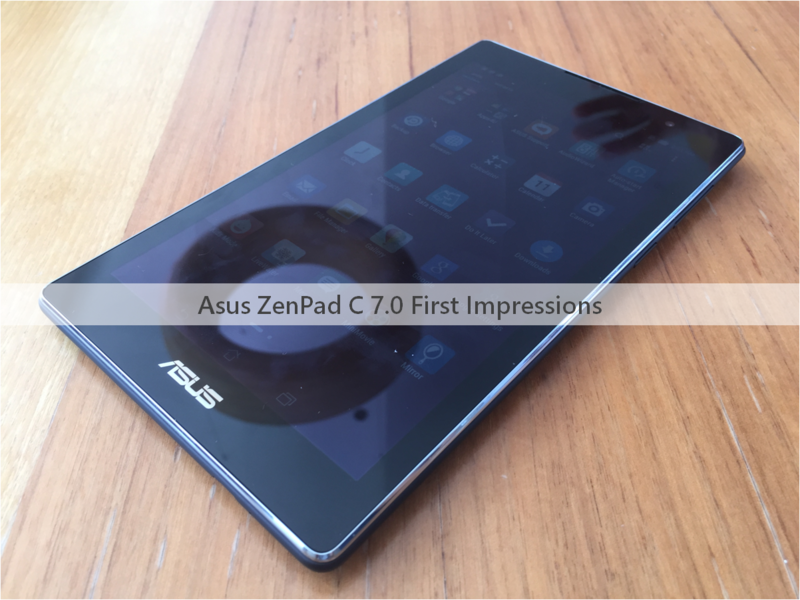 Just like any other slate from Asus, the ZenPad C 7.0 is a solidly-built device. The back panel is made of embossed leather pattern which offers easy grip with one hand. The slate comes with a Nexus 7-ish air in terms of design. On the front panel, it offers the same level of bezel thickness as the original Nexus 7. On portrait mode, the front panel basically houses the front-facing camera on the upper right corner of the device. The bottom bar of the panel sports the Asus branding. Flipping the tablet, you will see another Asus branding at the center of the back panel in portrait mode. The 5MP rear camera is smacked at the upper right corner. Across it is the flip cover which reveals the slots for two SIM modules as well as the microSD card. The top side comes with the power button and the volume rocker. Likewise, the microUSB port is situated in the right side of the device in landscape. With the port and button placements, I could say that Asus design this tablet to be mostly used in portrait mode. As far as the display goes, the ZenPad C 7.0 comes with a 67.6 percent screen to body ratio treated with an oleophobic coating; it also offers multi-touch functions up to 10 fingers. The screen offers 600 x 1024 pixels which frames 170 ppi pixel density. Compared to other 7-inchers of the same screen resolution, the ZenPad C 7.0 registers a 178-degree wide viewing angle which is a real deal in actual testing. Indoors, colors come with great clarity and brightness; however, the quality degrades in outdoor setting, especially under direct sunlight. The ZenPad C 7.0 is powered by an Intel Atom x3-C3200 chipset which includes a quad-core CPU and a Mali-450 MP4 GPU. App launching in this new ZenPad is quite zippy, running multiple titles also comes with ease. Sound quality is quite legit. I never expected this handset to deliver in this front but I guess it’s basically designed with multimedia consumption in mind. The slate is a good companion for those who want to keep their productivity in high bars, even when mobile. On paper, the ZenPad C 7.0 PixelMaster camera comes with a low-light mode which boosts the light sensitivity by up to 400 percent. The slate also has some other tricks on its sleeve like the selfie panorama with 140-degree wide angle shots. However, the rear camera does not have an autofocus function which oftentimes lead to poor image quality. Other than that, most outputs are decent if we only narrow the comparison to the tablet space. The ZenPad C 7.0 also comes with a brand-new holistic Zen UI that sits on top of Android 5.0.2 Lollipop. It offers several necessities like the Zen Motion wherein you can set a tap motion to wake the device. You can also assign specified gestures to launch specific apps. The Zen UI also features the Kids Mode giving parents a breath of fresh air in handling the tablet down to their kids. On paper, the Asus promises the ZenPad C 7.0 users to have 8 hours of battery life. Connectivity-wise, the tablet offers a complete set of radios for purported users. 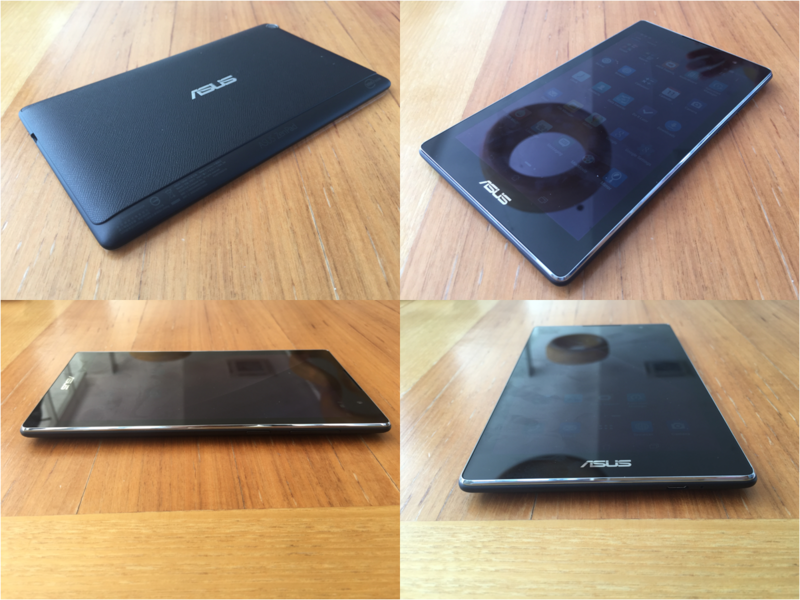 The Asus ZenPad C 7.0 has Wi-Fi (Z170C) and 3G (Z170CG) models. Unlike any other tablets, the ZenPad C 7.0 comes with phone capability allowing you to take calls and send SMS on your device. The Asus ZenPad C 7.0 promises a great hardware on top of a very affordable asking price of Php 5,995 (to be confirmed). Continuing the reputation of the Zenfones, the ZenPad C 7.0 could easily be an instant hit with the fact that it comes with good hardware, great marketing and tempting price standpoint. It is expected to hit the shelves in the coming weeks.